← SYRIA: Who’s Afraid of Razan Zaitouneh? Her sister, Zainab al-Khawaja, also a vocal critic of the Bahraini government and recently released from prison on bail, announced the news of the hunger strike via Twitter on Friday. Bahraini police arrested al-Khawaga on Aug. 30 at the airport in Manama, the capital of Bahrain, after she tried to enter the country. Police told her that she had been stripped of citizenship, without providing official proof. Al-Khawaja live-tweeted much of the incident to her popular following. 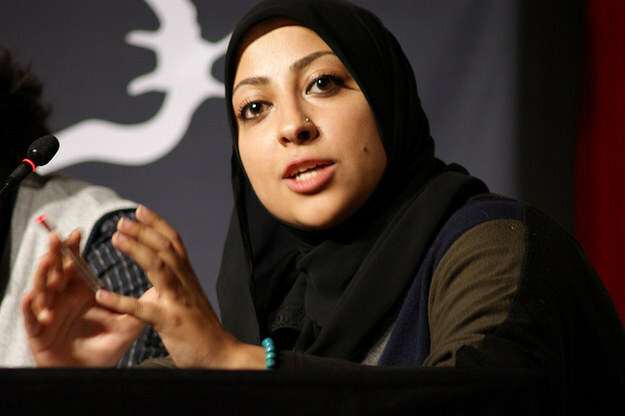 Police then detained al-Khawaja and charged her with assaulting a police officer. Al-Khawaga denied the charges. A medical report from the incident obtained by Sa yed Yousif Almuhafda, vice president of al-Khawaja’s Bahrain Center for Human Rights, said al-Khawaja had minor bruises to her hand. Bahraini police have a documented history of beating and torturing activists, and then denying the incidents occurred. Authorities have since extended her detention twice, and at times denied access to her lawyer and family. Last week Al-Khawaja appeared in court with her arm in a sling, Al Jazeera reported. Bahrain — a tiny Persian Gulf island close to Iran and Saudi Arabia — erupted in pro-democracy protests in March 2011, at the start of the Arabic Spring. 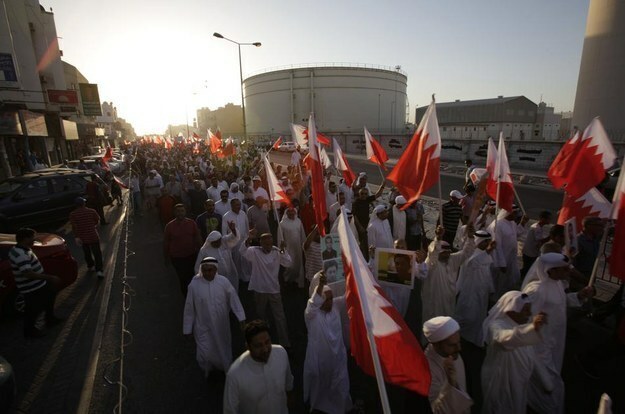 The anti-government protests at first drew from across Bahrain’s political and social landscape, including both the country’s marginalized Shia population and the majority Sunni community. Then Bahrain’s leader Khalifa bin Salman Al Khalifa, aided by neighboring Saudi Arabia, initiated a violent crackdown on protesters, using the media, digital surveillance, and brute force to try and silence any dissent. Over the next three years many Bahrainis have continued to protest despite the continued repression. Al-Khawaja’s father is currently serving a life sentence in connection to the 2011 protests. Almuhafda and other Bahraini activists have been lobbying various European Union countries and organizations in recent days to push for pressure on Bahrain to release al-Khawaja and enact reforms. They have also focused efforts on getting countries like the UK to stop selling arms and surveillance systems to Bahrain that enable the repression. Posted on September 13, 2014, in Middle East and tagged Bahrain, Hunger Strike, Prisoners' Struggle. Bookmark the permalink. Leave a comment.